Slasher The Allosaurus is a cool, brightly colored Imaginext Dinosaur. There have been several releases of this dinosaur toy. This one is model M0265. Some earlier releases were brown with black striping so this guy is a lot more colorful. Originally priced at about $24 dollars. Slasher The Allosaurus is cool! This Imaginext Dinosaur comes with a seat that slides into the hole on top of his back and a caveman rider. Slasher The Allosaurus measures about 12″ from his head to the tip of his tail. Slasher’s arms and legs move and on his underside is a lever to make his mouth open and close, neck move, and trigger roaring. 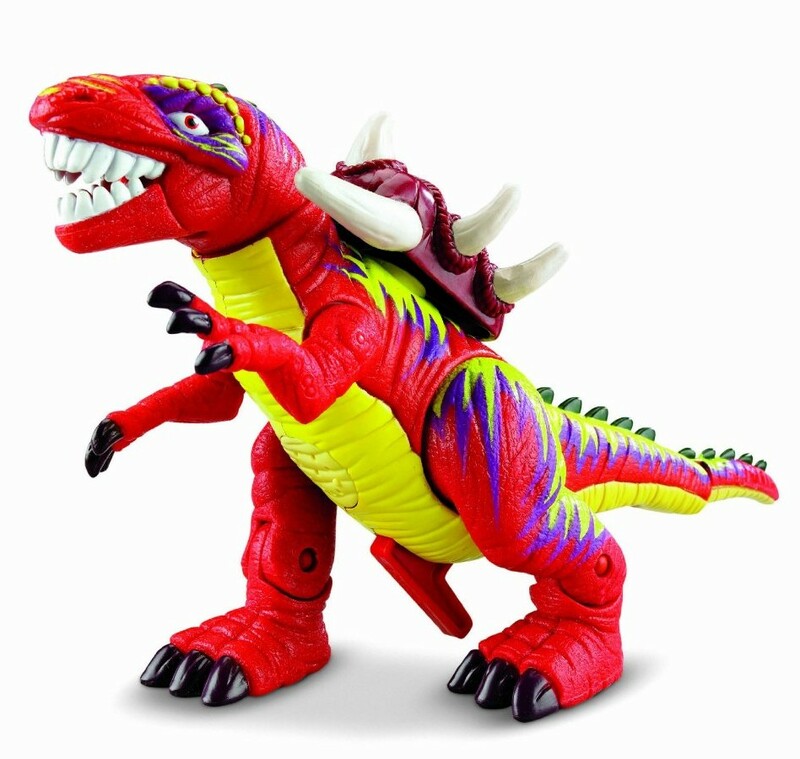 This Imaginext dinosaur toy is made of strong sturdy plastic that can take rough play. The Slasher Imaginext Dinosaur is sure to be a big hit and keep young dino lovers entertained.